Towards the end of the construction stage, with the contractor nearing practical completion, the next step is to manage the project during the handover and operations start up stage. Obtain all required construction certificates from the design team. This ensures all required certificates are secured to finalise building approvals. Arrange for relevant design team members to review the operations and maintenance manuals submitted by the contractor for evaluation. Ensure incorporation of comments into the final operations and maintenance manuals submission. Direct the design team to evaluate the as built documentation submitted by the contractor. This guarantees that all contract obligations are met. 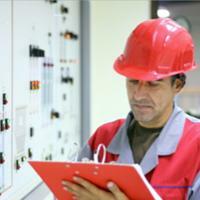 Manage the required inspections by the approving authorities. Respond to necessary actions from these inspections. The design manager needs to oversee the inspections and defects lists preparation for all the design disciplines. This is the final list of defects to attend to prior to the contractor’s practical completion. The task includes checking off any completed defects and agreeing strategies with the contractor to address defects not completed to the design team members’ satisfaction. The design manager needs to evaluate the project performance with respect to the functional design brief and project specifications. Any shortfalls in performance will need to be reviewed and resolved to avoid affecting operation of the building or project. The risk register needs to be finalised with the design input provided from the design team. It identifies any remaining residual design risks and provides some guidance in addressing these risks. Input from the design team needs to be incorporated to any required user training program. This allows the end user to better understand the completed project’s use and operation. The design manager needs to contribute to the lessons learnt report of the project regarding design. This will capture the lessons learnt on the project, hopefully using these lessons to improve delivery of future projects in any areas that were assessed as not being optimal. He also needs to arrange for design team inspections and report at the end of the defects liability period. The report is prepared prior to the end of the defects liability period, generally 12 to 24 months after practical completion. Once the handover and operations stage has been completed the design manager will proceed to finalise the compliance report for the project. This is the final stage of the project lifecycle in terms of delivery to the owner by the project team and design manager. This design management methodology represents a general approach for design managing infrastructure and building projects. This methodology has been applied successfully to numerous projects undertaken by the author, however as any design manager will know, every project is different and every design and project team is generally comprised of different team members. The key to making this methodology work is studying, applying and implementing it to suit the particular project. It offers focus and a clear direction for any design for an infrastructure or building project to achieve a superior outcome for the owner and for the entire project team.